If you could choose a flower to symbolize your mother, which would it be? For me, it's a vibrant golden daffodil, because every Mother's Day I bought a bunch of this spring flower for my British "mum." I loved the sunny petals, which reminded me of her warmth; the fluted yellow trumpet was her adoring gaze, while the droopy green leaves were her welcoming arms. After buying the flowers at the farmer's market, I would smuggle them into the house, plonk them into an available jar, and hide them behind my curtain until the next morning. Needless to say, they were always warmly received. This month, as we honor our moms, Literary Mama staff have been reading a host of books about mothers and mothering. Here are our recommendations. 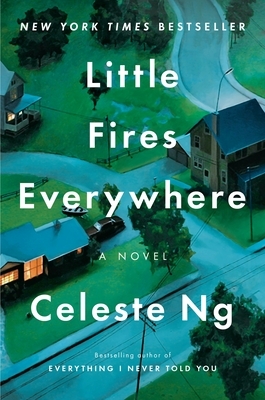 Abigail Lalonde, Social Media Editor, reviews a bestseller: "I recently read Little Fires Everywhere, by Celeste Ng, as part of my bookclub and I loved it. In fact, we all loved it. The novel is chock-full of mother-daughter relationships in many forms: traditional, mother-figure, adoptive, and even, as revealed later in the book, surrogate. The commonality of the relationships is that they're all complex, which makes them believable and relatable. The characters are rich and flawed and oh so human. The plot follows mother-daughter team Mia and Pearl as they move to the incredibly regimented suburb of Shaker Heights, Ohio, where, without trying, they turn everyone's lives upside down. The number of mother-daughter relationships in the novel seem endless; there's even an adoption/kidnapping subplot. The title is both literal and metaphorical, driving home the point that we all have little fires inside of us waiting to be ignited by a person or event. Don't worry, I'm not spoiling anything. Ng begins the book with one of the characters setting literal fires. Little Fires Everywhere is Ng's sophomore effort, and having never read her debut, Everything I Never Told You, I now realize I love her writing style and have moved it to the top of my TBR list." Senior Editor and Profiles Editor, Christina Consolino, has a practical recommendation for moms expecting twins, triplets or quads: "When my 19-week ultrasound during my first pregnancy revealed that I was expecting twins, my practitioners introduced me to Dr. Barbara Luke—the maternal-fetal health specialist who, at the time, ran the Multiples Clinic at the University of Michigan. I had the pleasure of meeting with her over the course of the next 19 weeks, and I read her book, When You're Expecting Twins, Triplets, or Quads, several times until the birth of my identical twin girls at 38 weeks. 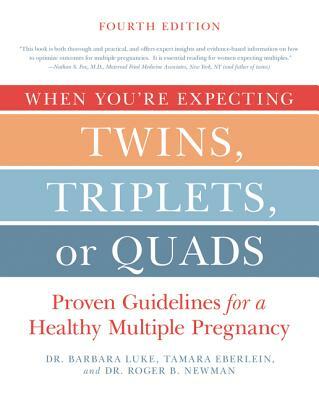 The book, co-written by Tamara Eberlein and Dr. Roger B. Newman, is packed with information that stems from Luke's and Newman's years of research on how to improve the outcomes of multiple pregnancies. It focuses on the uniqueness of a multiple pregnancy, the special nutritional requirements for the expectant mother, and how to lower the risk of complications during the pregnancy. In addition, the book discusses the birthing process, a possible extended stay in the hospital, and the intricacies of feeding more than one baby at a time. Recipes, additional resources, and a research update are also provided in the appendix of the book. Despite the quantity of information, the book isn't heavy or dry; it is easy to read and engaging, thanks to the personal connection given by Eberlein, also a mom of twins. I consider it a must-have for anyone who is expecting more than one baby." 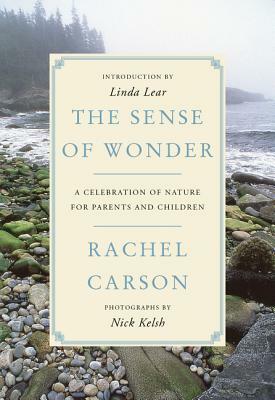 Andrea Lani, Senior Editor and Literary Reflections Editor, has a useful suggestion for some outdoor family fun: "Rachel Carson did not have children of her own, but she knew all about caregiving, having taken care of her aging mother, her two nieces, and her young great-nephew, Roger, whom she adopted after his mother died. In quotes from letters that appear in Carson's biographies, she expresses frustration familiar to mothers, about the challenges of doing her own work with so much responsibility bearing down on her. But as anecdotes in The Sense of Wonder demonstrate, she also delighted in sharing her beloved natural world with Roger. More than 60 years after the piece's original publication as a magazine article, The Sense of Wonder is perhaps more relevant than ever as a manual for parents or other caregivers who want to instill in their children a love for and connection with the natural world. Carson does not list games or activities, as so many guidebooks these days do, and she cautions against naming of plants and animals as an end in itself. Rather, she encourages a quieter, more intuitive approach, of sharing in and encouraging the child's 'inborn sense of wonder' and 'rediscovering with him the joy, excitement and mystery of the world we live in.' Carson's advice is simple, and as beneficial for the adult as for the child: 'Exploring nature with your child is largely a matter of becoming receptive to what lies all around you.' Slow down, pay attention, look closely at things you never noticed before, go outside at night to watch the stars or moon. This Mother's Day, give yourself, or a mother you love, the gift of Carson's words, a gift that will benefit the reader long after she sets down the book, for, as Carson writes, 'Those who dwell . . . among the beauties and mysteries of the earth are never alone or weary or life.'" Amanda Jaros, Senior Editor and Creative Nonfiction Editor, shares: "Mother's Day for me is about spring, family, and hiking. Most years, I pull my family out into the woods and we spend the day doing the activity I love most. 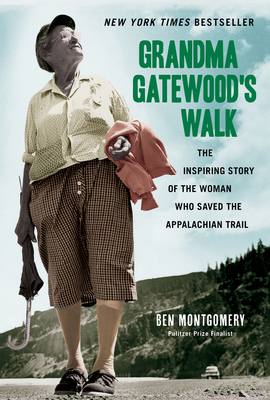 I can't take off on many long hikes these days, but a book that reminds me of my own journey on the Appalachian Trail, and reaffirms my opinion that every mother should have the chance to follow her dreams is Grandma Gatewood's Walk, by Ben Montgomery. It's a biography of 67-year-old Emma Gatewood, who, in 1955, was the first woman to complete a thru-hike of the 2,100 mile Appalachian Trail. And Emma did her hike wearing Keds sneakers and carrying a homemade denim knapsack! Emma had spent her life in Ohio raising 11 children, coping with a physically abusive husband, and operating a meager farm. When her children began having their own children, Emma walked away from home without telling anyone where she was going and gave in to the call she had heard for years: hiking the Trail. I love this book because it flips between the details of Emma's hike, and her history as a mother and wife in the early part of the twentieth century. Emma is an inspiration for all mothers. She certainly is for me. She challenged gender stereotypes, set a world record, and finally found the happiness she had long craved—solitude and beauty high up in the mountains of Appalachia." 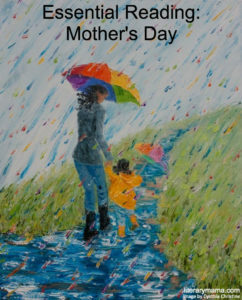 What or who has inspired you as a mother? We’d love to hear in the comments below. Cynthia Christine is a self-taught artist who enjoys cultivating and capturing the world through eyes of child-like wonder. She strives to re-create the exuberance and intensity of images rather than the actual details.